CHICAGO -- According to Technomic’s Winning the War for Convenience Report, only 19% of consumers say they have ordered delivery from c-stores, grocers or warehouse clubs, but 38% say they would take advantage of a c-store’s delivery service. This points to a big opportunity for retailers. Going up against operational savants such as Amazon requires sure-footedness on the part of c-stores. 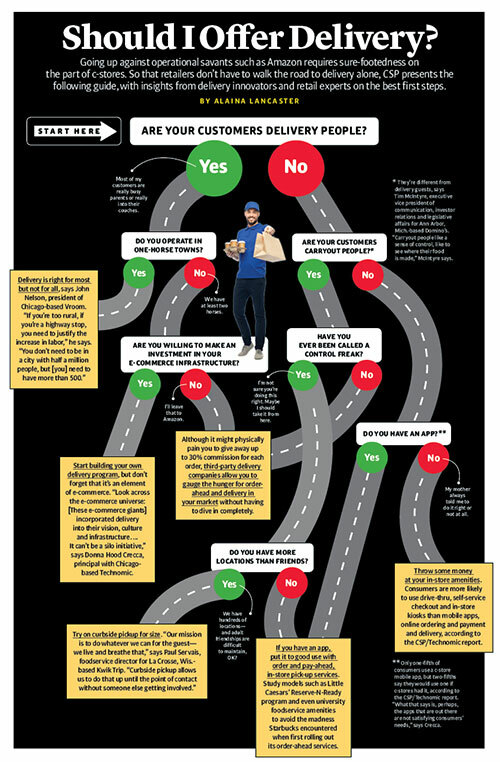 So that retailers don't have to walk the road to delivery alone, CSP presents the following guide, with insights from delivery innovators and retail experts on the best first steps. Click here to read CSP's War for Convenience report.